"Enthralling . . . A page-turner that can hold its own with any one of the many murder-minded podcasts out there." 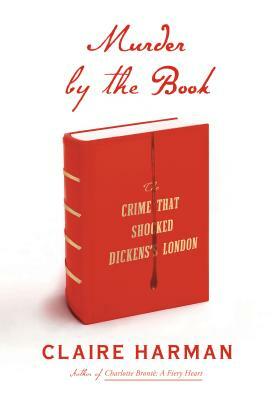 From the acclaimed biographer--the fascinating, little-known story of a Victorian-era murder that rocked literary London, leading Charles Dickens, William Thackeray, and Queen Victoria herself to wonder: Can a novel kill? In May 1840, Lord William Russell, well known in London's highest social circles, was found with his throat cut. The brutal murder had the whole city talking. The police suspected Russell's valet, Courvoisier, but the evidence was weak. The missing clue, it turned out, lay in the unlikeliest place: what Courvoisier had been reading. In the years just before the murder, new printing methods had made books cheap and abundant, the novel form was on the rise, and suddenly everyone was reading. The best-selling titles were the most sensational true-crime stories. Even Dickens and Thackeray, both at the beginning of their careers, fell under the spell of these tales--Dickens publicly admiring them, Thackeray rejecting them. One such phenomenon was William Harrison Ainsworth's Jack Sheppard, the story of an unrepentant criminal who escaped the gallows time and again. When Lord William's murderer finally confessed his guilt, he would cite this novel in his defense. Murder By the Book combines this thrilling true-crime story with an illuminating account of the rise of the novel form and the battle for its early soul among the most famous writers of the time. It is superbly researched, vividly written, and captivating from first to last. CLAIRE HARMAN is the author of Charlotte Brontë: A Fiery Heart; Sylvia Townsend Warner, for which she won the John Llewellyn Rhys Prize; biographies of Fanny Burney and Robert Louis Stevenson; and Jane's Fame: How Jane Austen Conquered the World. She is a fellow of the Royal Society of Literature and a frequent reviewer. She divides her time between New York City and Oxford, England. "An assiduously researched and superbly written book that ends with Harman examining unanswered questions, and reminding us that truth can be stranger than fiction."